Despite having a pro-energy president in the White House, America's oilpatch appears to be having a harder time building pipelines — frustrating industry and galvanizing environmentalists. Pipeline protesters suspending themselves in trees. Lawyers halting construction with sharp legal challenges. Hand-wringing over the state of national co-operation. 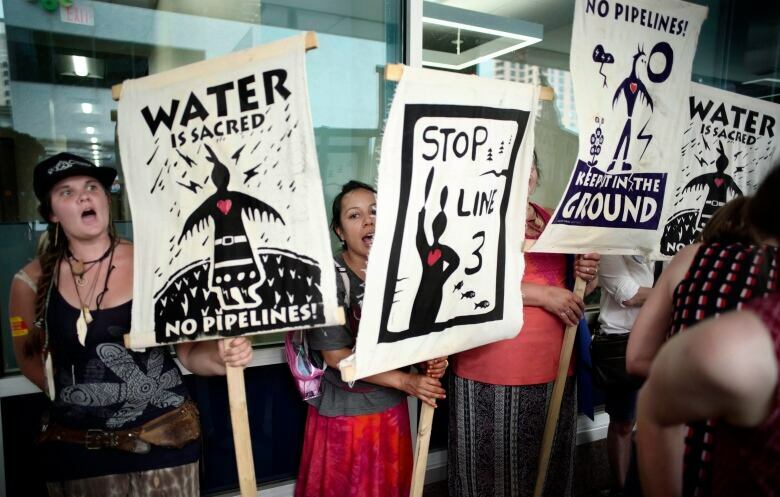 Canada is no stranger to pipeline battles, especially in recent weeks. But this isn't a scene from B.C's. Lower Mainland. This is how the fight is playing out in parts of America, under the drill-friendly Trump administration. Though members of Canada's oilpatch may look to the U.S. with yearning as the Trans Mountain pipeline saga drags on, similar projects aren't getting an easy ride south of the border. ANALYSIS | Trans Mountain is in deep trouble. So why is Trudeau getting chummy with B.C. 's premier? While some Canadians may think they're the only ones tying themselves in knots over the future of energy infrastructure, that's not the case. "There is a worrisome trend of pipeline construction projects getting more difficult to proceed in many jurisdictions in the United States," said analyst Samir Kayande, of RS Energy Group. Worrisome for industry but galvanizing for environmentalists, U.S. pipeline opponents believe they're gaining traction at both the grassroots level and in the legal system. 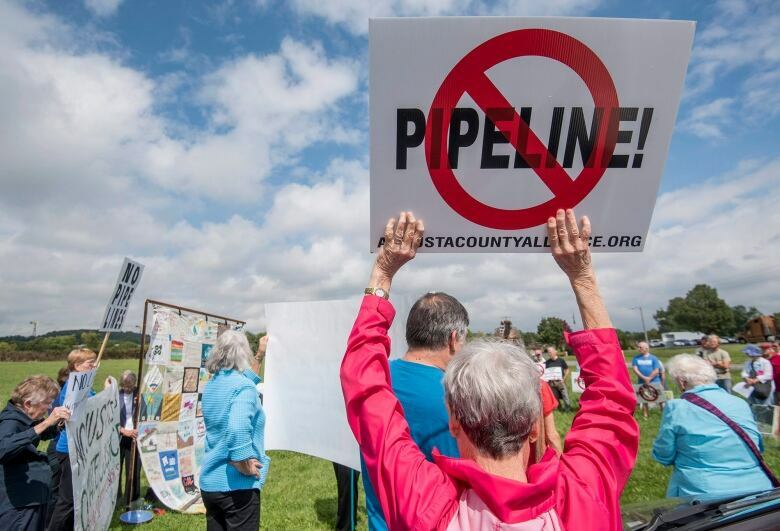 Two major gas pipelines crossing the Appalachian region of the U.S. — the Atlantic Coast and Mountain Valley pipelines — are facing determined opposition in the courts and the woods, where tree-sitters returned recently in a bid to block construction work on one of the projects. Groups fighting the development of the Keystone XL pipeline, which would take oilsands bitumen from Alberta to Texas, were also bolstered recently when a federal judge told the U.S. State Department to do a full environmental review of the project's revised route. From New York to Minnesota to Nebraska, industry, government and environmentalists are colliding over the future of energy — even as much of the U.S. sector booms, with oil production jumping by millions of barrels a day in the last few years. By no means is it a fight everywhere; thousands of kilometres of new pipelines are in the works. And one of the biggest challenges is keeping pace with the demand for more pipeline capacity, particularly in America's south, where prolific production is causing shipping bottlenecks. Yet pockets of the country are posing enough opposition that this summer, it spurred members of the U.S. natural gas pipeline industry to call for regulatory help. "It's definitely not getting easier to build a new pipeline," Stan Chapman, president of U.S. natural gas pipelines at TransCanada Corp., told Reuters during June's World Gas Conference. 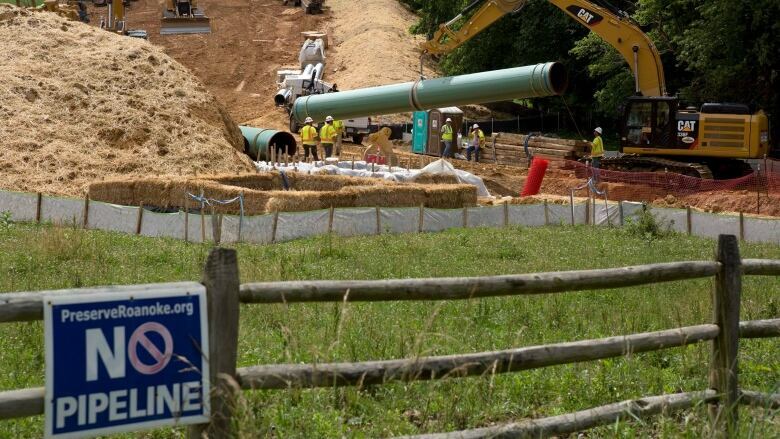 "I'm seeing more already-approved pipeline projects that are under construction get held up by a judge in lawsuits, and this has to be addressed either by [federal regulators] or with legislation." Not long ago, North American pipelines largely operated out of the spotlight. Then, about a decade ago, a plan to build an expansion to the Keystone pipeline quickly gained notoriety amid heightened concerns about greenhouse gas emissions from the oilsands. American climate groups figured that while they might not be able to directly tackle Alberta's oilsands, they could easily go after an oilsands pipeline. "Preventing the buildout of oil and gas infrastructure and pipelines helps to limit extraction in fracking and extraction of fossil fuels," said Kelly Martin, director of the Sierra Club's Beyond Dirty Fuels campaign. 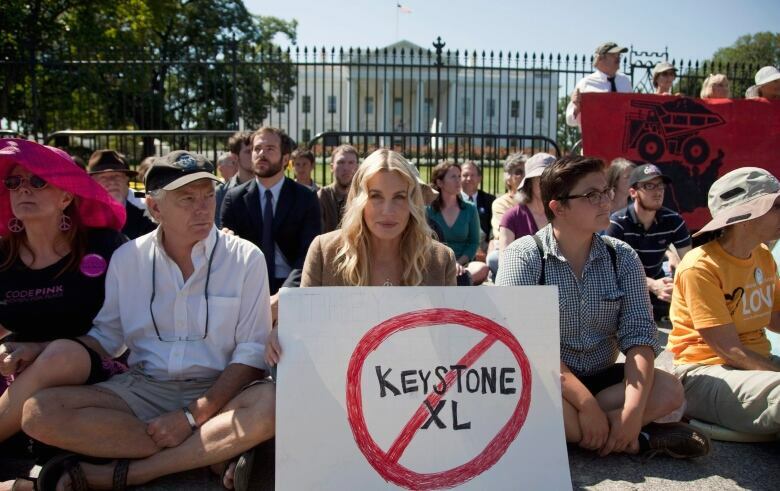 "This is a strategic way to protect our water and … our climate." Like Canada, the fight in the U.S. is marked by a combination of protests and legal battles. Groups like the Appalachian Mountain Advocates have been mounting legal challenges to the fossil fuel industry for two decades. "I used to go to [public consultation] coal meetings, and there would be 100 coal miners there screaming, and two community members against the mine," said Joe Lovett, the organization's executive director and a lawyer. At recent public meetings on pipelines, however, he says nearly everyone appears opposed. Opposition tactics are evolving, too. Pipelines are being contested in ways that are challenging the American regulatory system, says Christopher Sands, a Johns Hopkins University professor who follows energy policy in both Canada and the U.S. 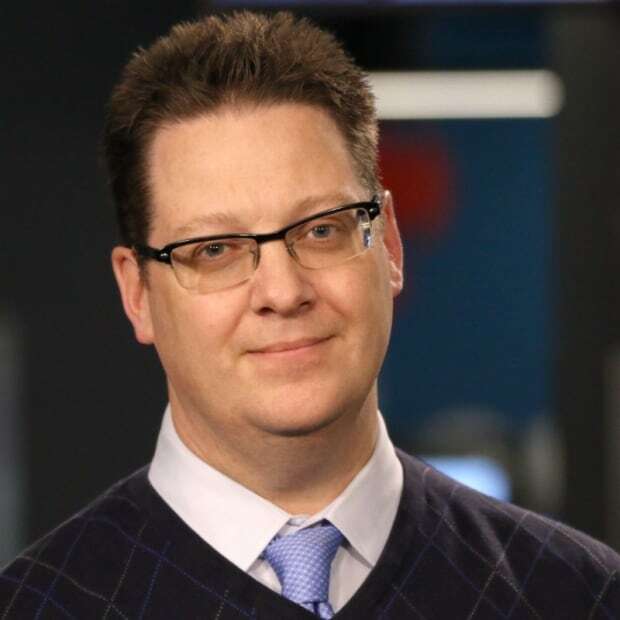 The local review process — designed to be accessible to non-professional intervenors — is now permeated with sophisticated lobbyists that are bogging down an ill-suited system, Sands said. "You take a town hall in Nebraska, and you unleash on them the Gucci-shoed lobbyists for the oil companies or the gas companies, and then you bring in Big Environment, [with the] backing of multimillionaires," he said. "It kind of weaponizes the whole process." There's growing concern that process no longer works, Sands said. The same has been said in Canada, where some argue the regulatory system is harming the country's investment climate and could affect future resource development, and others warn of failing the planet's actual climate. Ultimately, the future of energy will lead to difficult decisions in both countries; Canada's Trans Mountain pipeline is at the sharp end of the debate. Both sides are continental in scope. Both are deeply invested. 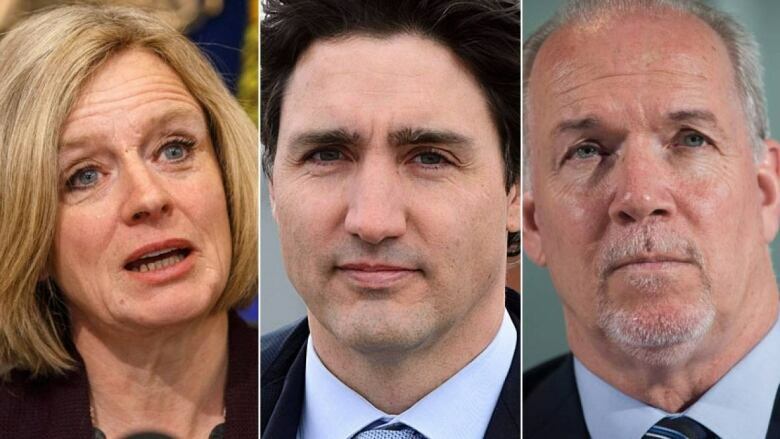 And the issues are powerful enough to move voters: the fortunes of the Trans Mountain pipeline alone could affect the outcome of one federal and two provincial elections. Prime Minister Justin Trudeau is promising to deliver a finalized plan in the coming weeks that aims to get the project moving, but few would say the pipeline's prospects are certain. In the U.S., President Donald Trump is proving to be a rallying figure for industry and environmentalists. As similar as the debates on both sides of the border may seem, Sands says the two countries traditionally seek conclusions to disputes in different ways: America through litigation and Canada through negotiation. "Litigation is, I think, better than negotiation because it leads to an outcome," Sands said. But outcomes aren't always solutions. And in this polarizing debate, solutions are hard to come by.